This is a set of button graphics, made in a pixel art style. They can be used for video games, mobile phone apps, websites, networking, or anything else you desire. Every button comes in 5 different colours: blue, yellow, green, red, and violet. 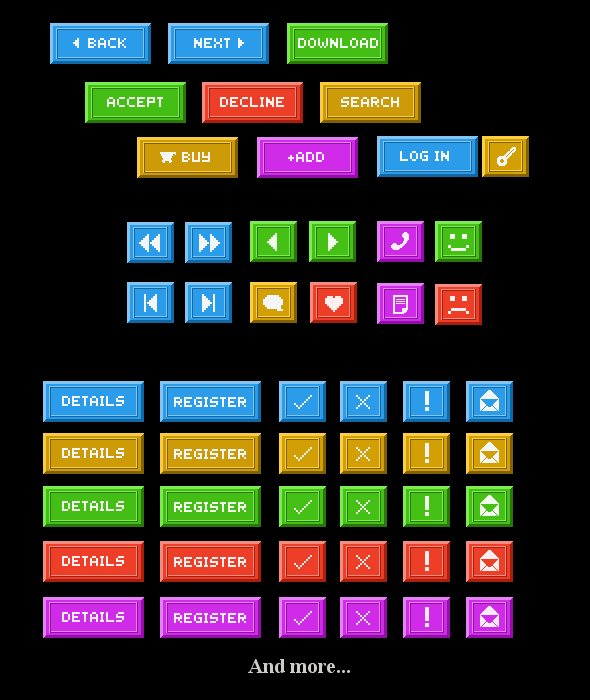 There are a total of 58 wide buttons of each colour (101 x 41 pixels) and 55 small buttons of each colour (47 x 41 pixels), making a total of 565 buttons. Wide buttons mostly have words on them, whereas small buttons only have icons. 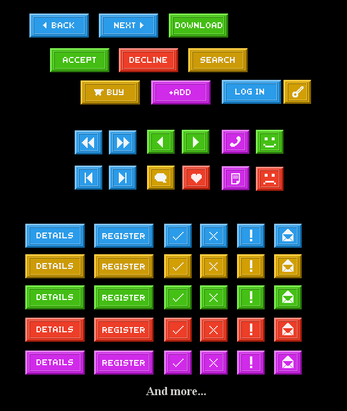 Majority of words and icons on the buttons have been designed with app navigation, video game UI, and social media in mind. However, most can find their home virtually anywhere. 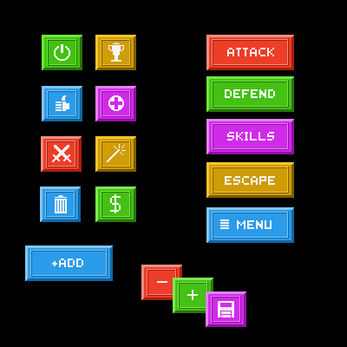 Also provided are editable vector images of empty big and small buttons of each colour.